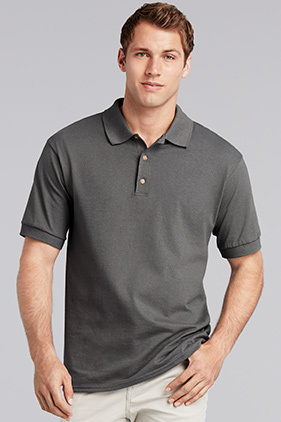 Pre-shrunk 100% cotton 6 ounce jersey knit sport shirt. Contoured welt collar and cuffs. Clean-finished placket with three woodtone buttons. Seamless body with double-needle bottom hem. Satin label.